What can help current manufacturers be more competitive? For any manufacturer in any country, the beauty market most likely displays a highly complex and competitive picture: diverse and hard-to-please needs from consumers, thousands of opponents to combat, various influencing touch-points on consumers, and plenty of channels to trade in. Vietnam market is no exception but more questioning to any beauty consumer goods company is – how much should they invest to capture consumers whose spending is just 40% of their Thai neighbors’ for Beauty products (*), and incomparable to the Japanese’s or Korean’s? Tough as it may sound, fortune always favors the bold. The under-development of the market holds opportunities for everyone to grab a piece of the pie and the largest size of prize will go to the one who can lead market trends and educate consumers since beauty knowledge is building up but not yet even among everyone. By ‘everyone’, we are referring to the potential base of about 20 million females from 15 to 39 years old who account for 40% of Vietnam’s female population. Today they receive a better education, know and access different sources to build their knowledge about a product and are updated faster than ever before. They are also driven by the sophistication seen from celebrities and beauty bloggers, or by beauty salons, cosmetic shops’ push. Additionally, an increasing proportion of them now join the labor force which yields a greater disposable income. In return, they care more about appearance, tend to indulge in more nice-to-have categories and are motivated to pay for more premium and convenient products. 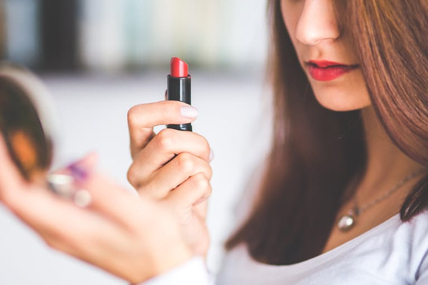 According to Kantar Worldpanel’s latest beauty report, there is a strong correlation between both household income level, and number of working women urban households have with the amount of beauty products they put in repertoire. 2016 observes a fast growing adoption of sophisticated products, such as Make-up, Cosmetic Remover, Toner/Astringent, Sun Protection. Moreover, despite the alerted down trading trend in Food and Home Care sectors, Beauty sector remains the land of premiumisation among current users, e.g. higher priced hair conditioner, skin care and make-up products gain shifted spending from lower tier products. Beyond consumer goods, there is also a rising demand for beauty services through numerous spas/clinics, beauty salons booming at all levels of prices and expertise. Given the current market size and existing complexities, manufacturers need to consider if it’s time to stop over-focus on your core portfolio and shift more attention to anticipate changes and sophisticated needs in the future (which require planning and innovation strategies from now)? Besides, is it only the job of the market leader to develop the market or also worth others to review their product offerings? Is there anything we can learn from other Asian or European markets’ evolvement? Actually in immature and scattered markets like cosmetics, both market leader and smaller players can grow the market. Market leaders can educate consumers on the needs and knowledge of the proper personal care routine, especially from the early age. Consumer panel data reveals that new beauty product buyers skew to female users less than 20 years old and Facial cleanser is what they prefer to buy for the first time. Hence, recruiting teenagers by sampling, promoting at schools, cinemas, cafeterias or relevant shows sponsorship can be considered. To target more mature consumer groups, it requires reviewing the current portfolio and expanding to new categories or line extensions to capture the full regime of consumers. According to Kantar Worldpanel China’s Individual Purchase Panel, girls’ behaviors change as they enter the next stage of life: “They will take more steps skincare regimen. They start to seek self-pampering rather than just having fun. They will look for benefits of high effectiveness: hydrating, anti-aging.” Therefore, your investigation should be on what categories desired in Vietnamese ladies’ routine and what benefits are missing in your portfolio; what new formula, convenience formats can you innovate to excite consumers and set the trends? On the other side, smaller players can focus on one or a few key products which consolidate their biggest strength and competitive edge, like unique treatment, ingredients, or formula, etc. This either can help add on the repertoire of current market users or can draw attention of market outsiders who seeks for niche needs or something exceptional. Beside the thought upon market & consumer, another point to deliberate in any marketing strategy is how to stand out in the crowd of thousands scattered brands. Competitors vary from international to local brands; from branded to unbranded; not to mention the pure natural products which are replacing as deemed safer than commoditized ones. On top of that, the battle is heating up when current FTAs within ASEAN or with Japan / Korea have come in effect and TPP is expected. Lower import tariffs lower barriers for more international companies to enter Vietnam and more foreign beauty products which are already favored in consumer minds now enjoy a wider presence and better pricing. As a matter of fact, imports from Korea are reported to grow impressively in 2016 thanks to FTA. 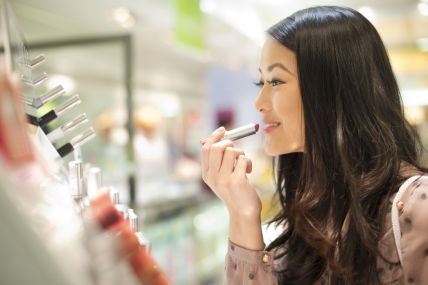 Domestic wise, local beauty brands whose strengths are high trade discount, natural ingredient claim and quick effect are also getting favor from both retailers and consumers. In such dynamic playground, what can help current manufacturers be more competitive? First of all, under the context of health consciousness and as a result of many scandals and warnings about counterfeit products or harmful ingredients, to date consumers are becoming more cautious and paying more attention to the product labels or origins. A brand can leverage that by polishing its communication with branded quality and safety guarantee, especially applicable for long established and reputable brands on the market. Secondly, part of your communication or innovation plan needs to consider ‘natural ingredients’ which are doubtlessly gaining consumers’ preference now across the globe. Just one note that in Vietnamese context, ‘natural’ needs to be something local consumers are able to understand and familiar with. Last but not least, the open door through FTAs also means an opportunity for international players to import their own products from other countries, therefore make local portfolio become more innovative and profitable with more premium offers. On the other aspect, communication and trade channels are no longer as simple as we thought, too. The fast reach and utilization of Internet by consumers poses a challenge for any players to control the right information being spread online, to catch up with the new power of online reviews and to compete with the ease and subjective influence from online shops. Since beauty categories take up to half of online FMCG purchases in urban 4 key cities, there comes the need to expand manufacturers’ footprint on digital base, either by more focus on digital communication and interaction, cooperating with renowned beauty bloggers or listing on e-commerce sites, so as to impact shoppers’ path to purchase from everywhere, even secondary cities or rural areas. “Half of online FMCG purchases in urban 4 key cities are for beauty products, in which Make-up and Facial Care earn the top picks. Indeed, Internet has gradually changed the way people build knowledge, get influenced and decide a Beauty item. Needless to say, it’s now a crucial topic worth deliberating in any route-to-market plan.” Fabrice Carrasco – Managing Director of Kantar Worldpanel Vietnam | Indonesia | Philippines commented. Victory awaits those who can drive the market by setting the right trends, offering full routine, exciting consumers with innovations, and capturing emerging touch-points. (*) Beauty products: Hair Conditioner, Hair Colorant, Hair Styling, Facial Moisturizer, Facial Wash, Cosmetic remover, Mask, Toner/Astringent, Lip Make-Up, Eye Make-Up, Face Make-Up, Nail Make-Up, Hand & Body care, Sun protection, Deodorant, Fragrance. Today, more than 62 million households across Latin America buy from door-to-door sales reps.
Mini-stores The future of modern trade in Vietnam? 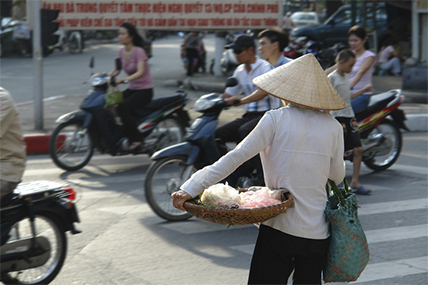 Vietnamese consumers are still attached to the traditional shops and wet market.